This is the second failure I've had ... 13 months ago the clutch control module failed - see here. No obvious problems with the car before or after the messages came up. Last edited by peterdw; 5th April 2019 at 11:27 PM. The pump failure is usually caused by a blocked filter, and this in turn quickly leads to the failure of the haldex clutch pack. At least the system gave a service warning, so probably saved the haldex clutch pack, but if they didn't at least clean the old filter, the pump could fail again quite quickly. 70,000 km is pretty much in the fail window zone. Once teh warranty runs out, get the hladex serviced every 30,000 km and tell the dealer you will want the old filter back as proof they completed it properly. Do that and the haldex will be much more reliable and just keep on going. 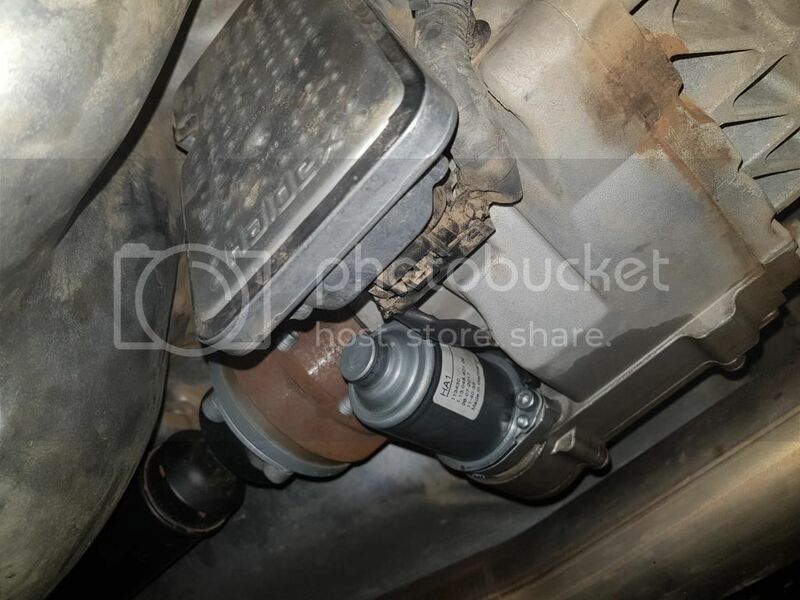 On this and VAG forums (the same haldex is used in VW and Audi) it's a regular topic of discussion as to why there is no recommended service interval for the haldex. Does anyone know which Haldex would be in my 2015 model? Or is there a simple visual clue? I understand there are Gen IV and Gen V units and from googling it looks like the Gen V has the small white plastic filter which is attached to the end of the pump, whereas the Gen IV has a separate, larger black plastic filter. If mine is Gen V, then the filter would have come out with the pump and at least have been cleaned when moving across to the new pump, or possibly the pump kit does come with a new filter. If mine is Gen IV, then it's less likely it was cleaned or changed. I've had a look at my 2016 gen 5 and it looks exactly the same as the gen 4, I was going to service it but can't get an answer on what is needed filter wise. Last edited by AJG; 8th April 2019 at 07:54 PM. The text below the Volvo youtube video says it is a "4th generation". The pump in that video is parallel to the drive shaft. On my Haldex, the pump is perpendicular to the drive shaft ... does that make it Gen V? Or are there different configurations of the generations? ?